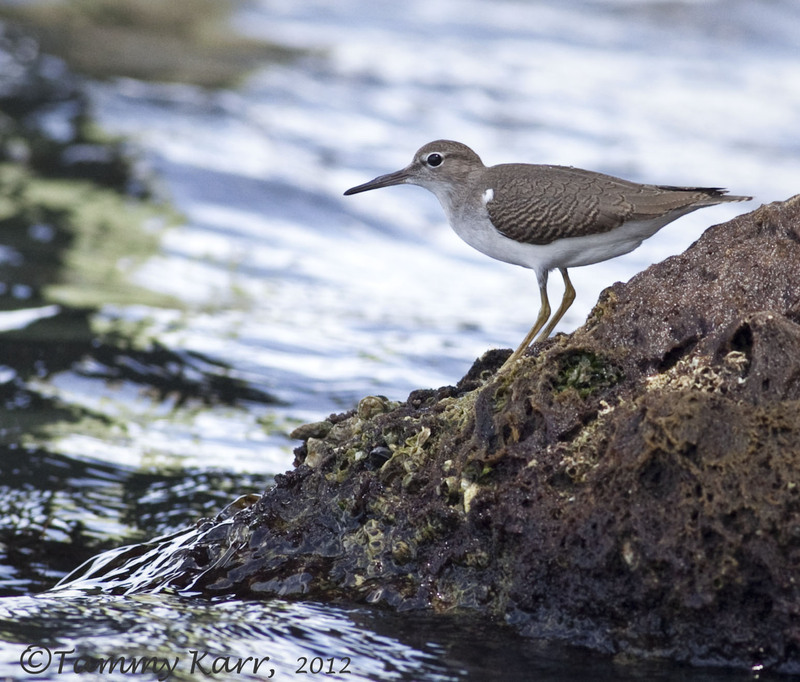 I saw this Spotted Sandpiper on the shore of the Indian River lagoon yesterday afternoon. The Sandpiper is void of its spots right now as it is in its nonbreeding plumage. It was foraging along the coquina rocks the make up the bank of the river. 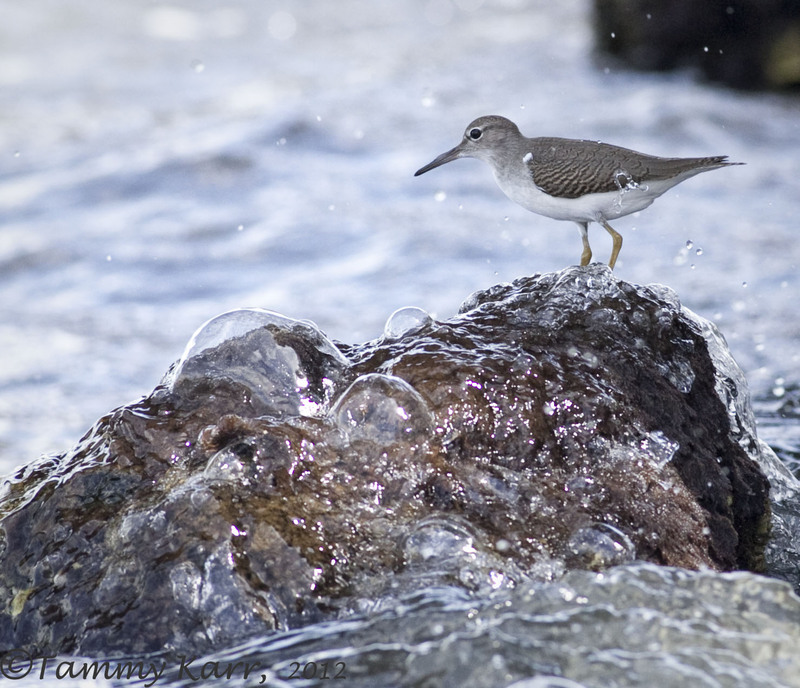 The sandpiper didn't have to work hard to find the insects as they are quite plentiful among these rocks. Dodging the incoming waves seemed to be the bigger challenge. Lovely bird and very nice photo's Tammy. Beautiful shots! Love the splashing water! They're funny, elusive little birds. Great captures Tammy. I have also seen this one in Puerto Rico. Muy bonitas fotos del Andarrios, saludos Tammy. beautiful photos! love the splashes! Great pictures and a beautiful bird. The detail in these are great. I love the last one as it seems he is behind the rock trying to dodge the water. Very smart. Stunning photos as usual Tammy! Love the water (and the bird!) in the fourth shot, absolutely stunning! Great shots as always, Tammy. Hope you're having a great summer. Precioso este andarrios Tammy. Saludos desde Extremadura. These are great images Tammy! 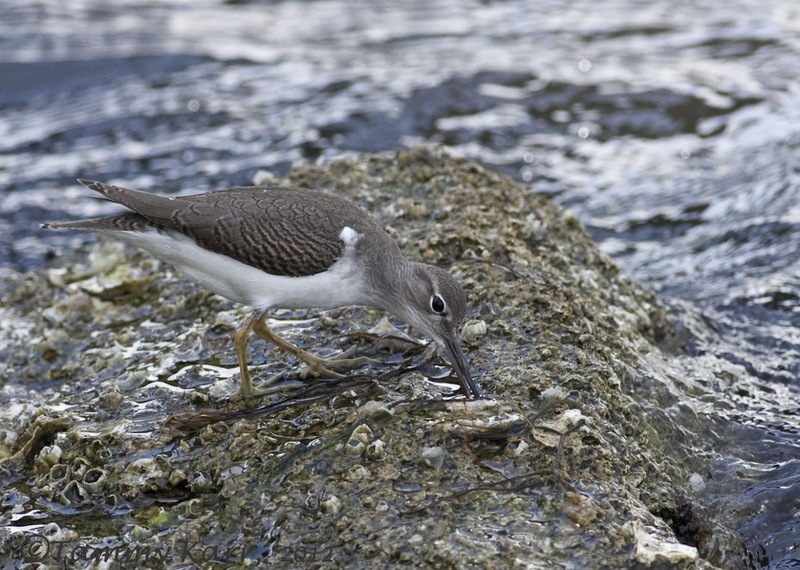 Klasse Bilder von dem Sandpiper. Your birds are so so beautiful ~ all of them! Lovely images. Wishing you a beautiful August! Amazing pictures, Tammy, the first one is almost like a painting in its composition. The water is crystal clear and you've captured the splash and bubbles beautifully. Tammy very nice .. Very beautiful compositions with water ... Cheers!!! You surely had fun tracking and taking this birds photos. Do you need to keep at a long distance from this bird? 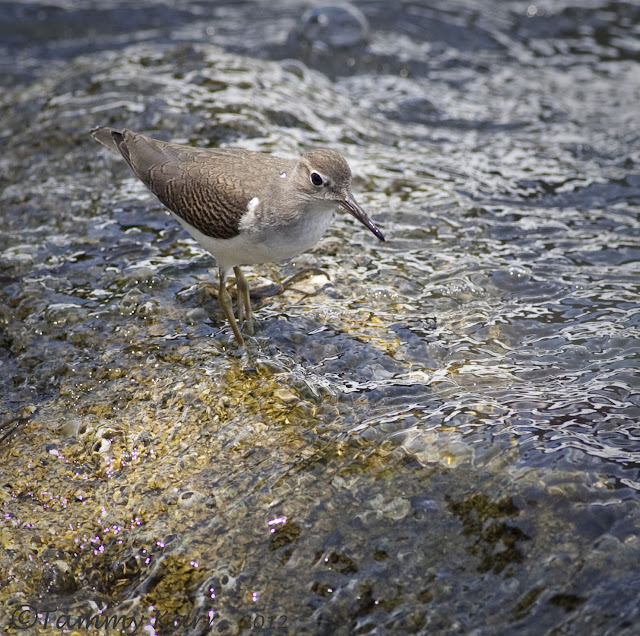 Spotted Sandpiper wowee, lovely. I have only seen one, and that was too far away, you shot it beautifully. Those birds should have a very sharp sight!! :-) I love how you "freezed" the water drops in your pictures, stunning as always! Have been out for a while, but it is good to be back to alle the beautiful photos in the "blog-world". Your sandpiper was posing very well for you and you have captured a series og crystal clear shots, high quality this, Tammy ! I know your shots are about the bird but I really love the water action in the last two, especially the bubbles in the one. They add a lot to the photo and give a different dimension to the bird. Nice shots on the Sandpiper, as always. Top notch images,love the last two shots,brilliant captures. 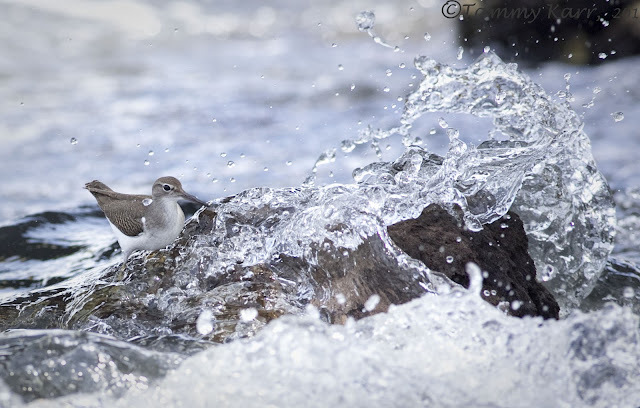 Wonderful images Tammy.. it's a lovely little wader. Your gorgeous photos always tell a beautiful tale of there subjects lives.